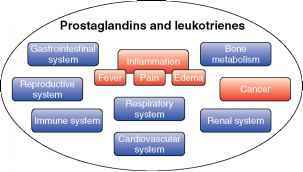 Figure 1 The diverse activities of prostaglandins and leukotrienes are reflected by their involvement in both normal homeostasis (blue) and pathophysiology (red). (Figure 2). Except the latter two classes, which are generated by nonenzymatic oxidation, synthesis of these mediators is tightly regulated by a number of enzymes. Eicosanoids generally act as paracrine or autocrine agents, in that they exert their biological effects locally, either on the cell from which they were synthesized or on neighboring cells. 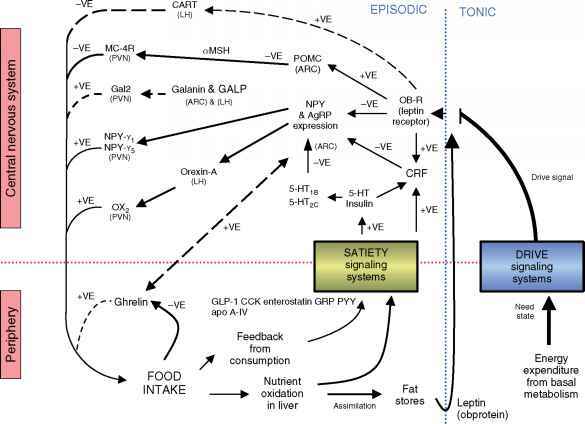 This chapter will focus primarily on the synthesis and physiological roles of the PGs and LTs and the regulation of their synthesis by dietary fatty acids.